I couldn't resist posting this up (after seeing Eric's post on the Odometer of the Beast). 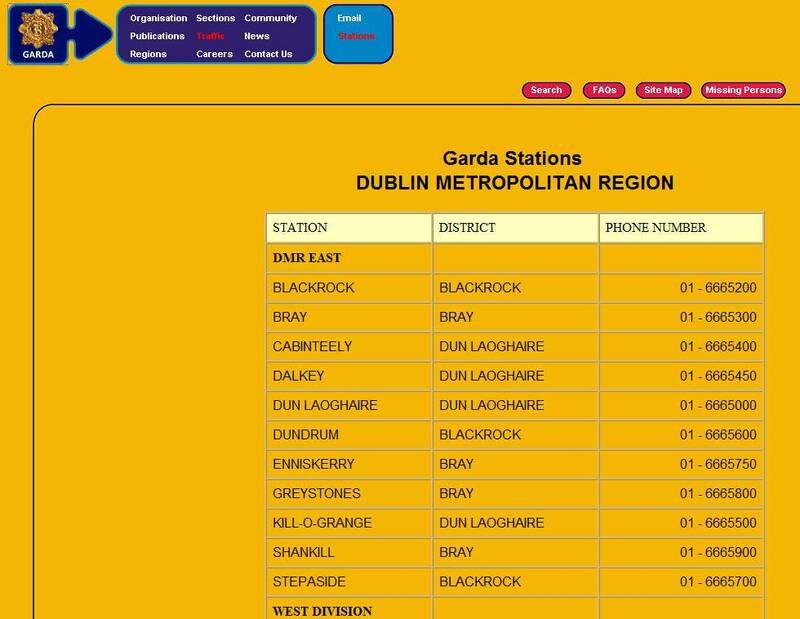 The Irish police force, known in Ireland as the Garda Siochana (Gaelic), have a fairly unique set of phone numbers for their stations. I think someone was having a laugh when they assigned those phone numbers.